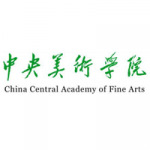 Central Academy of Fine Arts (CAFA) is the only advanced academy of Chinese fine arts under direct charge of the Department of Education in China. Under the umbrella of CAFA, there are six schools and college,. They are School of Fine Art, School of Chinese Painting, School of Design, School of Architecture, School of Humanities, College of City Design as well as School of Continuing Education and the Affiliated High School of Fine Art. CAFA provides first-rate libraries and studios for students and teachers. What's more, CAFA itself edits, publishes and distributes two nationwide periodicals of Academic Classification A, namely, Art Research and World Art. CAFA's main objectives are the cultivation of high quality professionals, who are able to be elites in the arts, CAFA remains a reasonable scale in terms of space and student number, highlighting its academic, experimental, practising and multi-disciplinary developments, which should be appropriate to a high art educational infrastructure in a modern era.